US DOT Training – Who Needs It? US DOT training…who needs it? You might. Training is required every three years for anyone who directly affects hazardous materials transportation safety. See infographic below for more details. And US DOT Shipping Hazardous Materials course listings are here: https://stgermaincollins.corsizio.com. 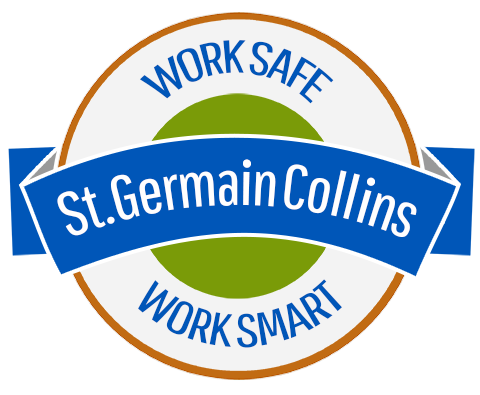 To help you stay on track, St.Germain Collins has developed a listing of typical environmental health and safety (EHS) reporting due dates. For your downloadable copy, provide your email address, hit submit, and a file will open in the window where you can save it or print it. Here is the link to, “Site Permitting and Design 101: MODA Conference- Managing C-Stores and Protecting the Environment” presented by Patrick Coughlin at the MODA Conference in November 2006. Here is the link to the, “Ground Water Extraction, Surface Water Recharge and the New DEP In-Stream Flow Rule: Rangeley Water District Case Study” presented by Keith R. Taylor, C.G. in October 2007. The presentation explores the Rangeley Water District and how it exmplifies a DEP regulation restricing direct or indirect withdrawal from Maine rivers.